There were three announcements made about the new arrival processors NVidia, Qualcomm and Samsung. Closely following them, was the Sony Ericsson processor announcement. It claims that the quad-core Nova Thor L8580 will be the fastest mobile processor, that includes LTE built in. It uses half the power than other processors at the same performance level. The chipset features an eQuad processor which comprises of four Cortext-A9 cores. It can be clocked to a maximum of 2.5 GHz and a standard graphics experience can be expected with PowerVR SGS544 GPU. It has the flexibility to work at low power and can even run at 0.6V. The other high end processors are based on, ARM Cortex-A15 architecture. 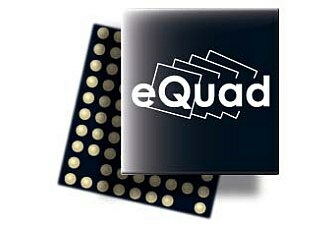 Whereas SE contains four cortex A 9 cores. The four cores can be clocked up to 2.5 GHz, while using only 6 V of power. The integrated modem will support up to ten LTE/HSPA/TD- SCDMA/GSM bands, so it will be easy for manufacturers to use the processor to support devices all over the world. The Nova Thor L8580 will provide connectivity support of GPS, Bluetooth, NFC and almost all other connectivity options. The ST-Ericsson L8580 chipset should allow the creation of affordable mid-range devices with excellent processing power and good battery life. The top shelf smartphones and tablets will move on to Cortex-A15 architecture this year, but there's plenty of ground below them for the NovaThor L8580 to cover. The video resolution of up to 1080p can be very well managed by NovaThor L8580 and also 1920 x 1200 pixels display resolution is supported. The chipset has the capability of supporting up to 20MP rear cameras and front cameras of 5 MP. Nova Thor L8580 performance reports are very impressive, as the Cortex A15 architecture is not being used, what remains to be seen is whether top manufacturers will choose this processor for flagship phones. It can be expected to be seen on some of the better mid range phones and a few higher end devices. The chipset arms race is certainly in full gear at the CES, and this is good news for the consumer market. 0 Respones to "SONY ERICSON INTRODUCES NOVATHOR L8580 CHIPSET"